Steampunk Tiles MV| RPG Maker | Create Your Own Game! 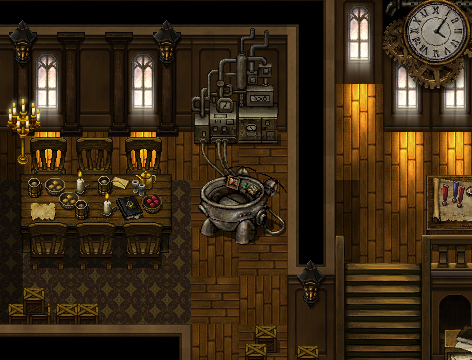 Steampunk Tiles MV is a pint-sized entry into the mesmerizing world of Steampunk. Created by Sherman3D, this pack includes the essentials you'll need to create a proper Steampunk bedroom. 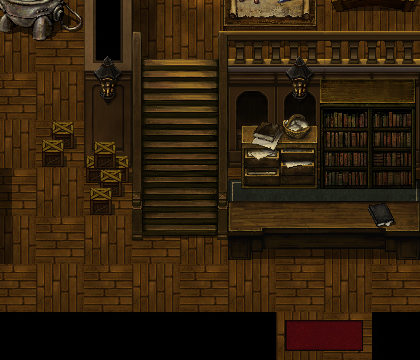 From gadgets strewn on the working table to gears and machinery, Steampunk Tiles MV is a great addition to your growing library of RPG Maker resources. Basics needed to create a Steampunk bedroom. Gears, pipes, lit windows and more! Sample game with a map and tile set-up. BONUS: Character set with walking sprite, animated battler, faceset and portrait.